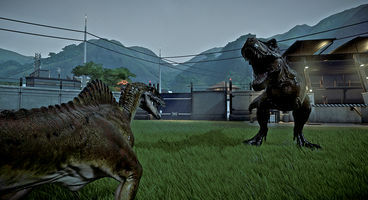 Jurassic World Evolution has just received its first DLC expansion, Secrets of Dr Wu. 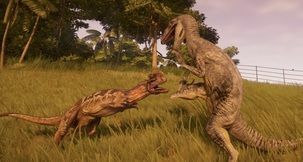 It's a lot of fun, and part of the excitement is creating new hybrid dinosaurs - like the Jurassic World Evolution Spinoraptor. 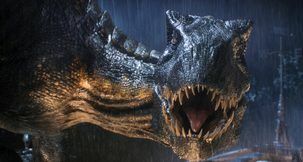 It's the most terrifying new dinosaur hybrid in the game, rivalling the Jurassic World Fallen Kingdom Indoraptor. 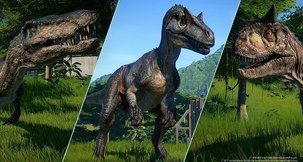 We show you where, when, and how to get the Spinoraptor in Jurassic World Evolution Secrets of Dr Wu! 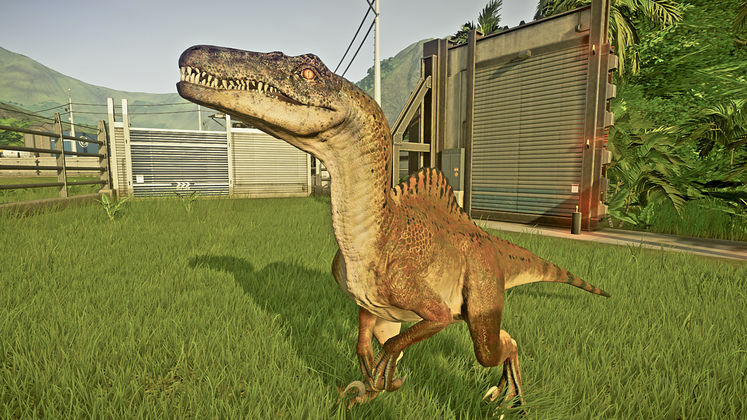 The Spinoraptor is one of the most terrifying additions to Jurassic World Evolution, mixing a Velociraptor with the Spinosaurus (the only dinosaur in the movies to beat the T-Rex in combat). As such, it's quite tough to get. You can't get it on the first new island location, Muerta East, you pick it up on the second - the Tacano Research Facility. Consequently you'll have to complete all the missions on Muerta East first and pick up the Troodon and Olorotitan. 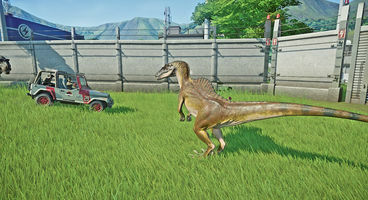 Research Centers Required: 5 - You should have this already from just playing the main game, even just up to island 3, Isla Tacano, which is the bare minimum needed to play the second DLC level. 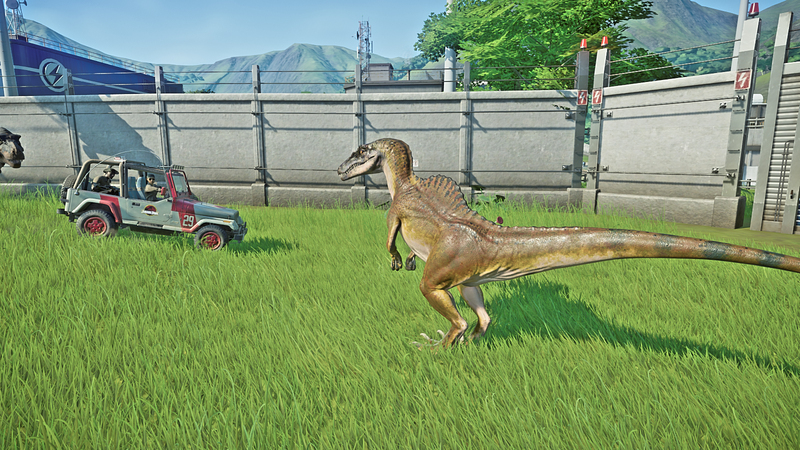 Tacano Research Facility Mission 3: Completed - You have to get to the second expansion level and get past missions 1-2, then you'll have access to the Spinoraptor. 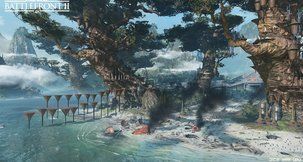 Cost: $1,400,000 - A hefty sum, and remember that's just to unlock it, not the cost of incubating one! If funds are tight on Tacano Research Facility, as long as you've completed the rest of these requirements you can go to another island and buy it from there. Spinosaurus Genome: 100% - Send out expeditions to Spinosaurus dig sites and keep gathering and extracting fossils until you get it to 100%. 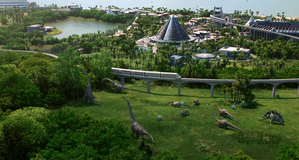 You don't get access to Spinosaurus fossils until the main game's island 5, Isla Sorna, however, so this may trip you up if you haven't got that far in the main game. Velociraptor Genome: 100% - You should have this already if you've got the Indominus Rex. Otherwise just keep on sending out expeditions to dig sites.